So I am sitting here looking at my fish tank and I notice that it seems to be a little bigger than my waste tank and it is 62 gallons. I thought that it was because the waste tank is semi covered and the fish tank is out on the stand. Anyway, I decided to calculate the dimensions out. My waste holding tank is only 54 gallons. And there is only one. Yet all my literature and everything I have ever seen on Trojans says 100 gallons holding. While it is not very important at this particular time. I do see an overboard discharge in my future. Oh, and the water tank measures out to 105 gallons. What is a "fish tank"? My water tank is 100+ gallons, waste tank is 88 gallons. LOL. It is a tank you keep fish in. It is in my home office. My Owners Manual says my freshwater system is two 52 gallon tanks interconnected in the forward bilge along with two 11 gallon water heaters in the forward bilge. My spec sheet says 100 gallons total fresh water. I have one 11 gallon water heater in the engine room and one water tank that is by measurement 100.6 gallons in the centerline bilge. My Owners Manual says my waste tank is two 50 gallon located below the cabin floor. 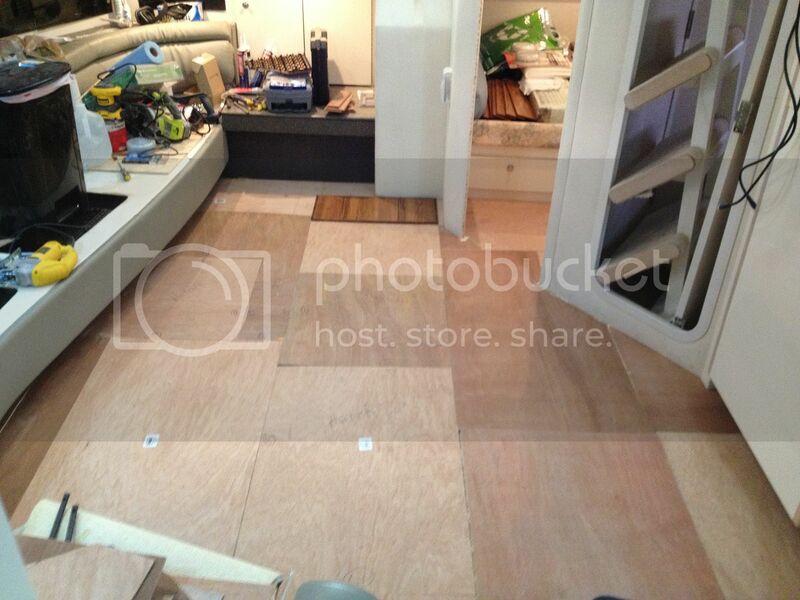 The tank for the forward head is under the galley floor and the aft head is installed under the salon floor. The spec sheet says I have 100gal holding. I have one tank that by measurement is 54 gallons and it is in the centerline bilge. I am just trying to figure out the discrepancies. I have come to the conclusion that the owners manual I have is completely useless. However, I have started editing it as a PDF and will eventually have a correct one. I have come to the conclusion that the owners manual I have is completely useless. That's funny I have the two 11 gallon water heaters setup port and starboard. I have two 50 gallon waste tanks in the centerline I still have not found my water tank but it is a 100 gallons for sure. 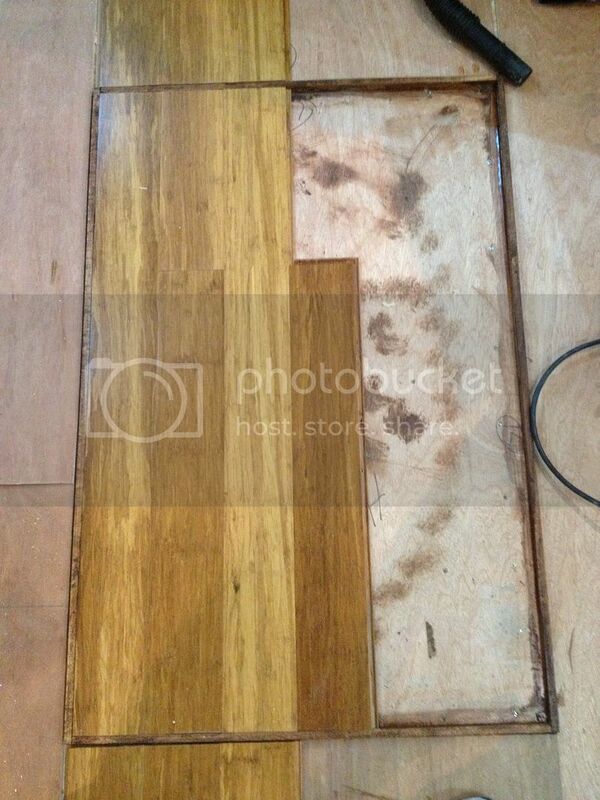 I believe the water in under the galley floor but with the hardwood floor there is no way to lift if up to check. I believe my manual is correct on most if not all my systems. Mine was the first year so it likely as the years went on the options changed and the manuals had more discrepancies. More likely the are on each side under the fuel tanks. I don't think they could put 100 gallons on just one side. 900 pounds would be a bit to try to balance out. Even as heavy as these boats are. Look at your water pump to see where the line in comes from. I am finding very little in my manual to be correct. Even the drawings they provided are not correct. Mine is like Hogan's. 88 waste and 108 water. Mike and Allen. Are both your tanks on the centerline? My water feed is coming in from the direction of the galley. I'm sorry I just remembered I have a two water tanks on either side of the waste but the port one I have never seen. I only recently pulled the flooring to uncover the tanks and forgot the layout I think they are 52 gallons each and tied together for 104. I also have two 50 or 52 gallons waste tanks they are separate and dedicated for each head. I will become more familiar in a few weeks when I start the waste line replacement. Allen's are center line I have seen them. Both my water (105) and waste (88) are located centerline. Water tank in under the steps. Now I have to figure which side i want to make my wine cellar . Oh, one side for reds, one side for whites. Problem solved. Love it when a plan comes together. So those of you with the 88 gallon tanks, do you know for sure they are? By pumped out volume or measuring? I thought mine was bigger tho until I measured it. Dave_ that makes sense for the water tanks. And that is what my blue prints show. Yes, just like Bob described just with out the wine coolers. Lol. Yes, both from the boat manual book and by physically measuring. What would it cost me to get one of you guys with a 98 to send me a copy of your owners manual? I am starting to think that possible my boat was an in between model. Mostly like the 1996 at least molds wise. But much of the rest from the 98 model. It may help me figure out the wiring diagram among other things. It looks like I have one of the centerline waste tanks from the 1996 and the single centerline water tank from 98. Allen - where are your vacuflush units? Mine are both under the forward most hatch. John, when I eventually get back on the boat, I can make you a copy of mine and send it to you at no cost. Remind me in the spring. Will cost you nothing. Let me check if they are home or at the boat. My vacuflush units are as well in the most forward hatch. Thanks to both of you. I am weird that way. I will have a complete and correct owners manual if I have to write half of it myself. Lol. I have scanned my and converted it to a editable PDF. I have worked on it some over the last year, but there is so much wrong with it. Do you made a blog about the 1997 Trojan 440 express? Well I did one hatch today. While I am not happy with the stain on the edging I used, it did not come out half bad. I will sand the stain off and try a different color. I just laid some pieces around it to see how it is going to look. It is the one behind the stairs so not really readily visible. What I really do not like is the way it breaks up the flow of the wood. To that extent I have decided to leave the outboard hatches sealed up and not use them. I will still have the two small ones in the galley and guest SR and the large one in the middle of the saloon to get at the holding tank plumbing. Tomorrow I should be finished with the underlayment. I got excited for you for a second I was going to tell you someone already have the owners manual book online!! :-) than I saw your name. I have two original Trojan bags where I keep all my boat litterateur but I don't have the owners manual in them, must be on the boat. Will pick it up next time i am on the boat for you. Hopefully tomorrow,it's going to be hot 32-F!!! What kind of edging is it? What did you use? 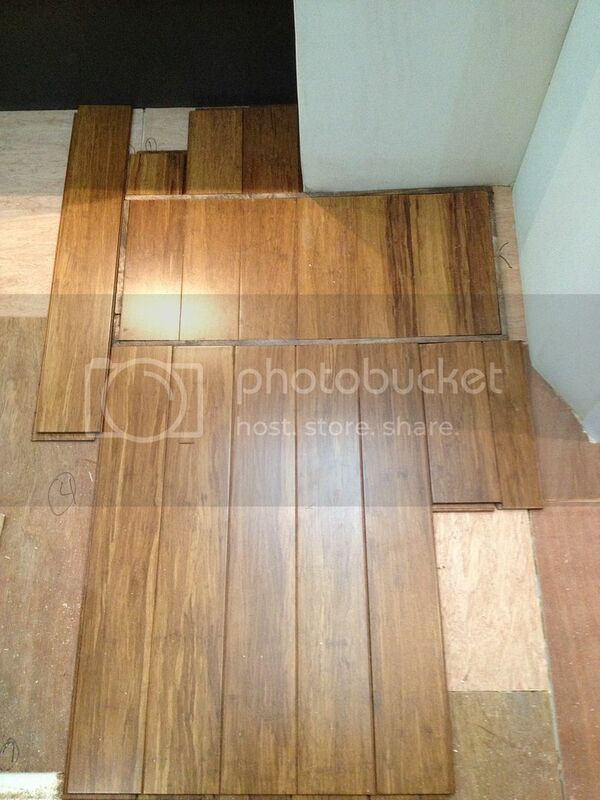 It is just a pine 3/8" x 3/8" furring strip. 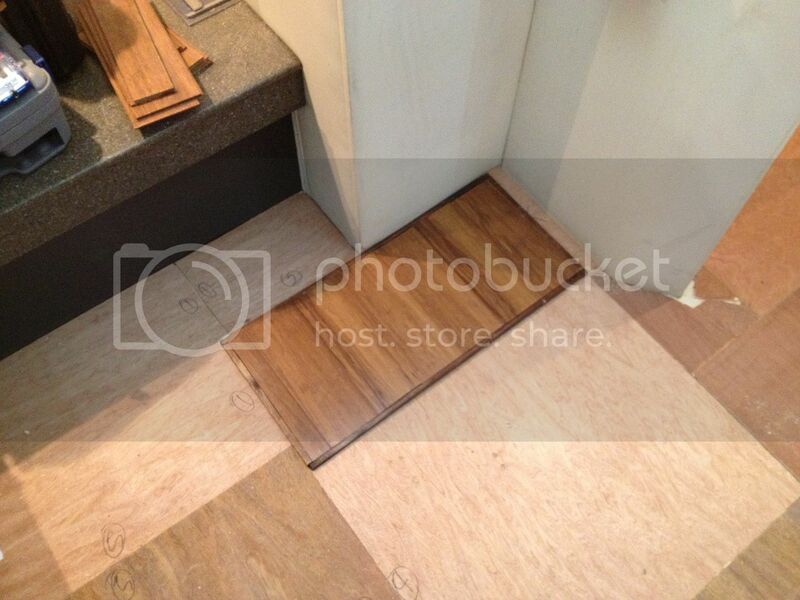 It is glued and staple to the underlayment that is glued and screwed to the hatch. I am going to try a different color stain tomorrow and see if I like it better. But seeing how it breaks up the wood I really just did not like the way it looked. Hence why I am going with minimal on the hatches. I did the blog thing because I figured it would be a handy online reference. 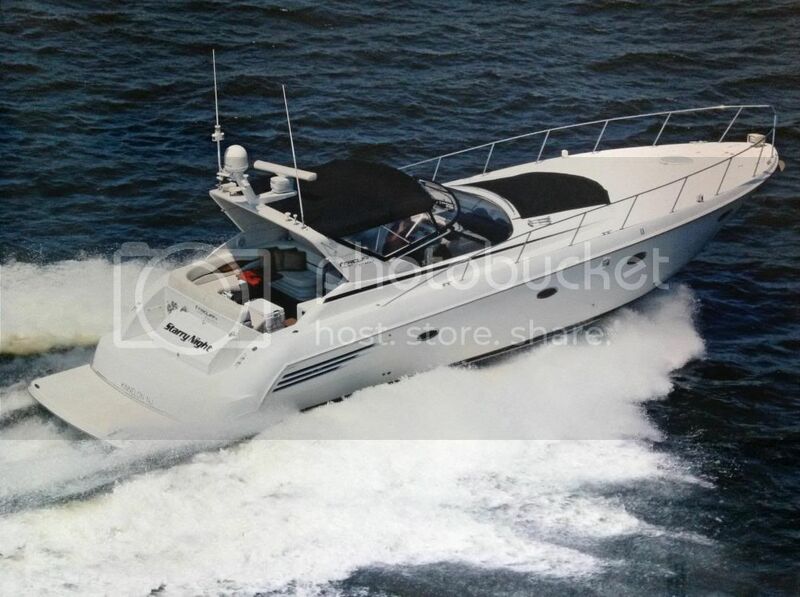 But the more I learned about this boat the more I learned I would need to completely rewrite the manual. Eventually I hope to have it be a comprehensive parts list with install dates and warranty expirations. As well as a list of annual maintenance parts and where to purchase them. Since a blog is accessible from just about any media device that can get on line I figured it would be the best way to create a reference manual. I already have another blog called John and Sandy'sBig Adventure that I had been using to learn how to blog. Good luck tomorrow with the edging. Yeah, 2011 sucked (at least the second half) but 2012 was much better and hoping for an even better 2013. Looking forward to making thast first trip of the year. Well the second try at staining was a bit better. I may only be a few shades difference but it blends a whole lot better. I also finished all of the underlayment today. Next weekends goal will be to finish the other three hatches and prepare the rest of the floor to lay the new flooring in. A few more weekends and this project should be complete. 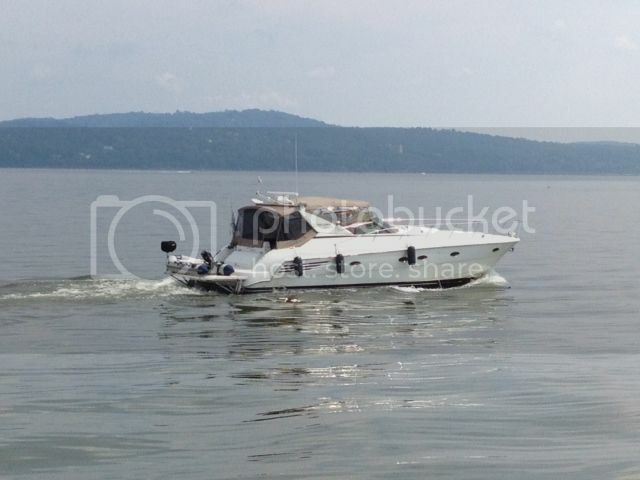 Which part of the boat is in this picture? It is the space under the stairs. It is where the access to the water tank discharge is. Here is a picture of the whole area. The layout with out the third stateroom is significantly different. Plus with the stairs and door frame removed there is not a lot to go on in the other picture. I like how the stairs fit in the head. Lol hogan. I have stuff stuffed everywhere. There is so much stuff in the master SR that the bow is about on inch lower in the water. The boat is in the water? You really should open up the hatches in front of the couch, it will give you a ton more of storage space. Allen - Yes it is in the water. No need to take it out. The water doesn't freeze here. Mike - I thought about it. My seating is slightly different than the 1998 on. It actually cover both hatches a little bit. I could have cut the hatches and made do but what it really came down to was that I liked the way the wood looks without breaking it up better than wanting the hatches. We don't have kids and even the second stateroom goes unused for more than storage. We have removed the matress in there and replaced it with an inflatable matress for the rare occasion we would have overnight guests. We also have totes for in there for storage of everything we could need. The underfloor area would be relatively useless to us. I finally got to the flooring in earnest today. After laying out several pieces in a bunch of different ways I settled on using the edge of the main center hatch where the waste tank and connections are as the starting point. Each board is 36" and there are short boards that are half that. So the boards need to be staggered a half board length to make it look right. On the hatch the edging the edging is 3/8" so you lose that much on each side and end. So that has to be taken in account too. Each piece that I have cut off is placed outside the hatch to continue the pattern. Less 3/8" of course. My plan is to cut all the boards bow to stern and a width of one board on each side of the hatch. Then glue the whole works down. That will be the hardest part. And the most time consuming. Once I complete that it should be fairly easy to finish it off. Are the edges glued to the sides? Also I think you have to take in consideration the temperature changes. The platform that is being removed might be a little hard to remove when it is warmer. I have about 1/4 of an inch gap and its a little bigger or smaller gap depends on how cold or warm it is. The edging is both stapled and glued to the underlayment. The underlayment overhangs the hatch by about an inch on all four sides. One of the reasons I chose Bamboo is the stability of it. It is not a wood technically but a grass. There will still be some expansion and contraction but not as much as regular wood. That being said, I hope I am not getting into any of the hatches I made because it will only be to fix a problem. There will be the occasional inspection, maybe twice a year but that should be it. The one I get into the most is the one by the galley and that is to vacuum out the last few gallons of water the pump doesn't get when it rains. Once I have that problem fixed I shouldn't have much need to get into any of them. At least that is my hope. lol. I can't wait to see more progress too. It seems like it is taking forever to get done. But I did the waste lines too. Including the vent line. And I usually have the spend the first couple hours getting the cabin warmed up enough to do anything. Tomorrow I am not even going to bother going out there. Luckily it is only about 30 minutes from home. I swear it was easy to do my 2500+ s/f house in CA than this has been so far. I am sure though, that like you, it will be my favorite upgrade. I really dislike carpet that much. Yup, no hatches in the house, much easier. I went up to the boat today I took a quick look and said it's way to cold to even think about starting any projects! Enjoy it must be nice jet setting all over! Lot of good stuff lately. I agree that if we had had some input in the detailing of the 440 it would have made them fantastic. We all know it runs and handels great, now you can add livable. My wife and I have stayed on the boat for over a year now and enjoyed it, very comfortable. Some upgrades I have made that some of you may want to think about. I removed the lexan shower enclosure and installed a curtain from a curved track. Makes the head a lot roomier. I turned the cooktop around so the knobs are out of the way on the countertop. I put in motion activated lights under the sink and in the garage. I have the cherry interior and there is a Formica laminate the is a perfect match and I used that in many places. I also sanded off the gloss in the aft head, now it has a soft velvet look. Carver did that on the ceiling in the big boats. I hope you have fluid level gauges for water and waste, I had to add for the water. A new veriable speed waterpump sure is quiet compared with the old one. I made a new gate in the back with some more beef. I put some wood wedges under the cocpit seats so they lean aft a little, more comfy. For the doors to the icemaker and fridge I found a small plastic track that mounts to the white lexan door and to the appliance door so they open together! Stainless steel for the tresholt on the slider. Big table in the cockpit (did not make mine big enough) Anyway, some of the things we like. Odvar. I would like to see some pictures of all that. My wife is bugging me about removing the lexan shower enclosures too. It is on my list. For my helm seat I need to raise it. When seated it puts me directly in line with the windshield frame. Some of the other things you mention have already been done on mine. The refer and ice maker doors in the cockpit are mounted to the lexan door. And I have a water gauge. Waste gauge just shows empty 1/2 and full.